Sweet tooth & Sweet all ‘round! Jamey is a fun-loving, outdoors kind of gal but also loves her bed and a good snuggle! She can be found outside on hikes with her pals and fur friends but if you can’t find her there, she’s most likely in her bed with her best pal and fur baby, Millie. 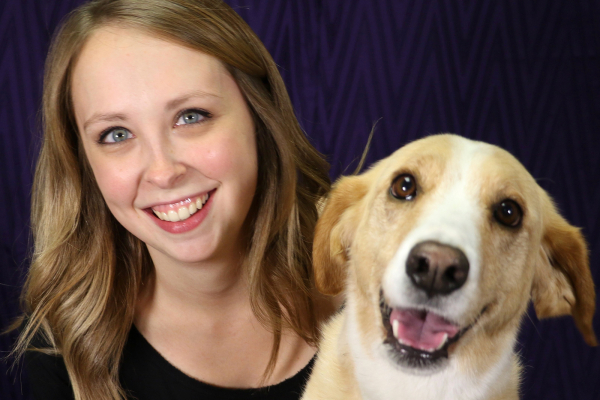 She found her love for animals while volunteering at the local SPCA for a high school class. She loved it so much that she continued volunteering until she left the province. Besides her love for animals, Jamey also has a love for sweets! Anything chocolate you can be she’s tried it! Menchies being her FAVE, she usually visits the staff there about once a week – they basically know her! She graduated the Veterinary Technician program at the University of Dalhousie Agricultural Campus, in the class of 2016. Jamey started off as a work-term student at CBS Animals Hospital, and we loved her so much, we decided to keep her!